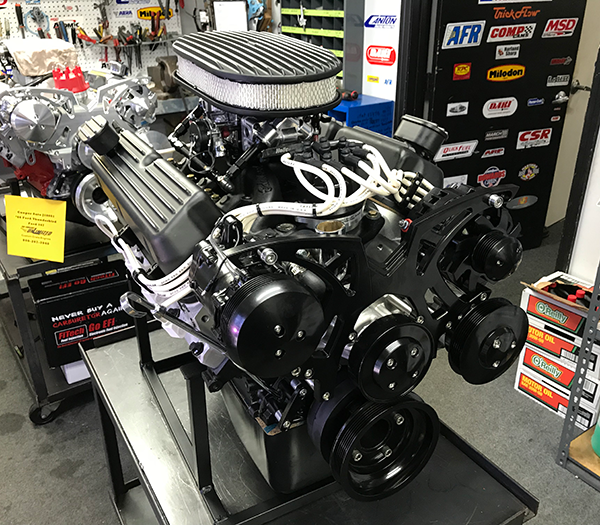 351CI SBF 350HP Crate Engine | Proformance Unlimited Inc.
Small block 5.8L 351w Ford crate engine with aluminum heads. The 351w engine combination can be custom designed to tailor to your specific needs. All engines can be custom painted to match your vehicle at your request. We can outfit your engine with the exclusive March Performance serpentine belt system. We can also assist you in choosing the proper transmission and stall speed converter combination for your vehicle and have it shipped directly to you as your performance crate engine is being built.